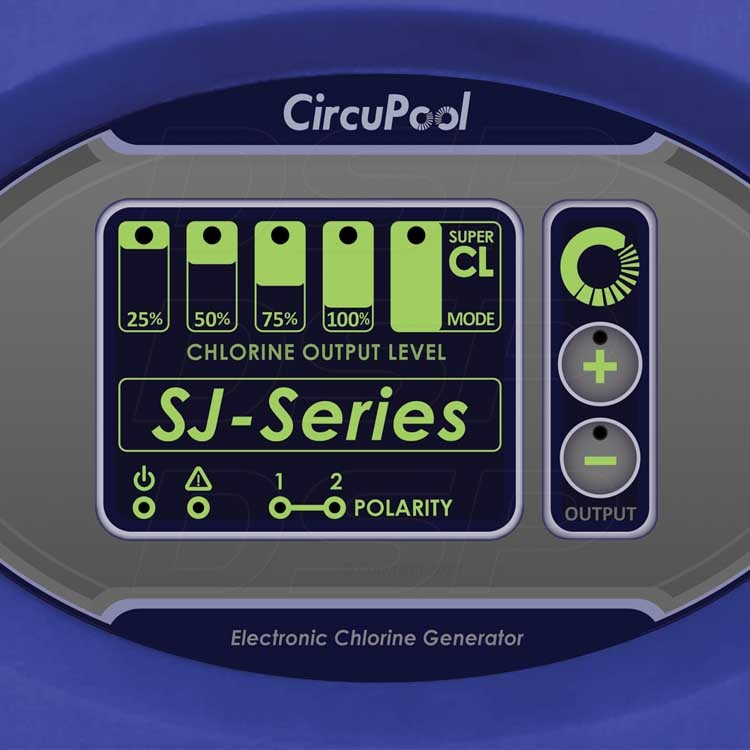 The CircuPool SJ20 saltwater chlorine generator balances advanced technology with simple worry-free operation. The SJ Series works with existing pump and filtration systems to reliably supply the swimming pool with pure chlorine, every day. The CircuPool SJ Series uses a low salt level and makes the pool water silky soft to provide the ultimate swimming experience. We were looking for a good system at a reasonable price. The SJ20 was right within our budget. We had it installed by a handyman onto our flex hose and the pool water has been perfect this summer. I can't keep my kids out of it. This was the best thing I've done for the pool in 20 years. I only have a small pool but I couldn't believe it but I put it in on my own. Thanks for the good phone support. Q: My pool is right at about 20,000 gallons according to my calculations. 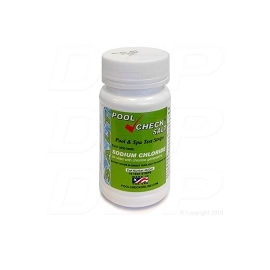 Will the sj-20 be be able to produce enough chlorine keep my pool clear running approximately 8-10 hours a day in the Dallas Tx. area? A: No, the sizes of salt chlorinators are listed at their absolute MAXIMUM rating, so you would want to look at the next larger size at least. The larger the system, the longer it will last, the better experience you'll have with it, and the more bang for the buck you'll get. 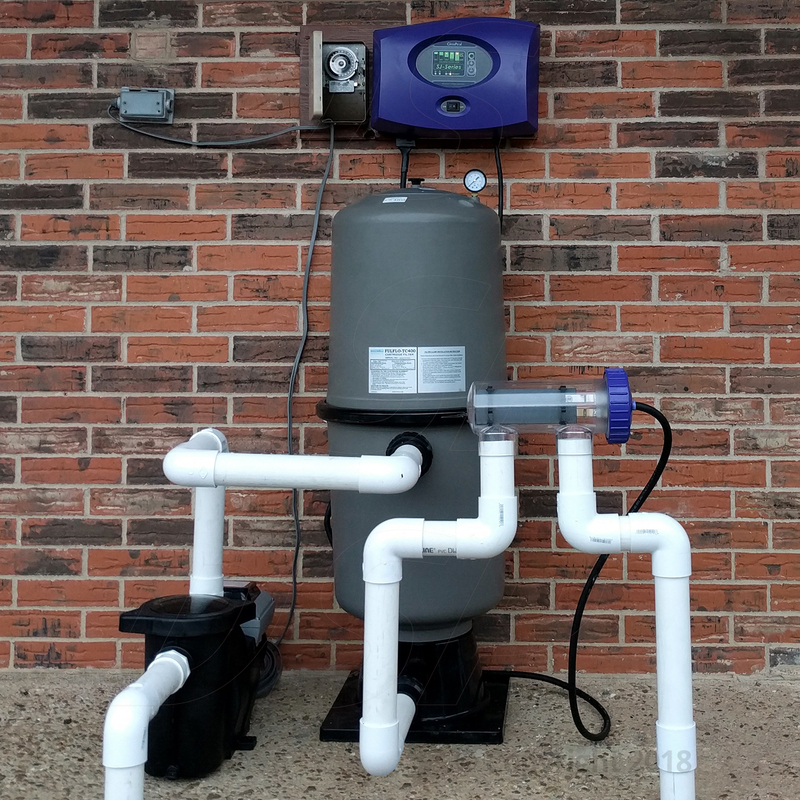 Q: What is required for installation on an inground pool with existing chlorinator? Also, exactly where on the pool plumbing is it installed? And level of expertise required for installation? Thanks! A: You will replace you existing chlorinator with this system. Installation is fairly basic, many people do it themselves in about an hour. You will glue the cell in the plumbing after the pump and filter (where your chlorinator is), and hang the control​ box nearby. You can also easily call for support with any questions. Q: I have a 10000 gal pool and was looking at SJ-15 up to max 16000 gala, what are pro cons of upgrading to SJ-20? Q: where can I find instructions on cleaning the electrolytic cell? A: The manual includes cleaning instructions, which is quick and simple using the cleaning tool. Q: what is minumin water flow needed for the sj 20 to work? A: The minimum flow varies with a few particulars for your pool, but most salt systems need around 20-30 gpm. It's easy with this system, because the cell is clear. 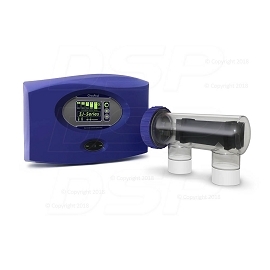 The whole goal is just to make sure the cell filled with water when your pump is running, which is not typically an issue unless there is a pump problem, or you use a very low-flow pump. 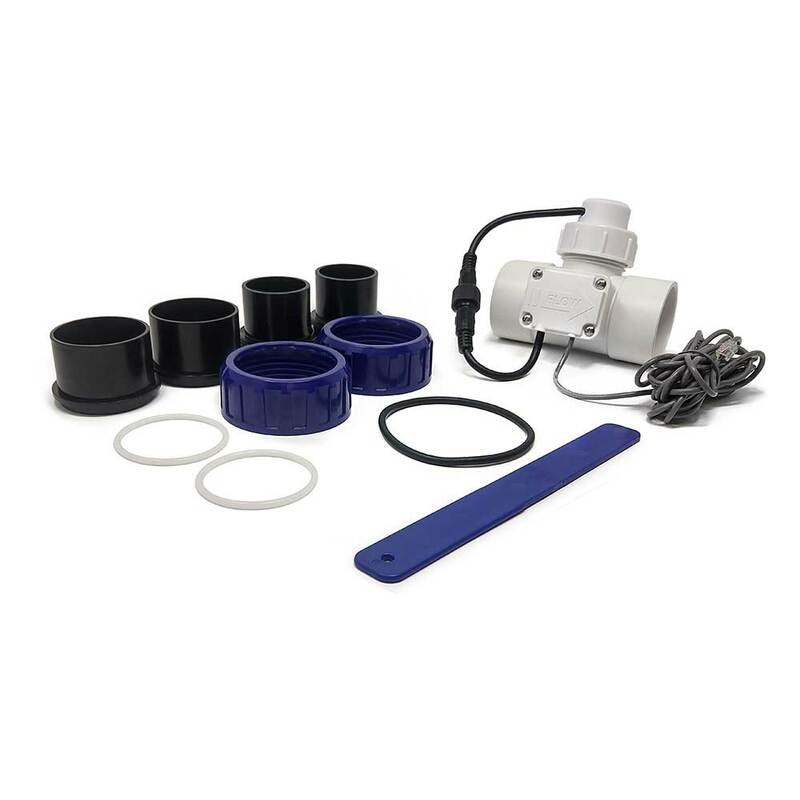 Q: What will I need to connect this to my Hayward pool filter system? 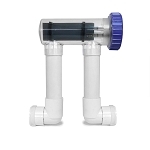 A: Really the only thing you need besides this system is a couple of 90 degree elbow PVC fittings that you will get from the hardware store. It doesn't typically matter what brand pump and filter you already have, this just goes in addition to them in the plumbing. Q: Is it self cleaning ? Where are the plates made? A: Yes, like all modern systems, the SJ series is self cleaning, also called reverse-polarity. Additionally, it is one of the few models out there that doesn't require any acid at all to clean the cell, which can make things much easier on you. This whole system is made in the USA. Q: Can this be used on a above ground pool? 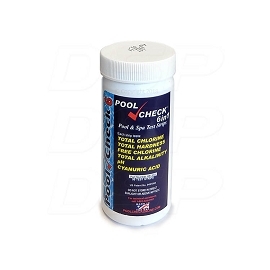 A: Yes, this can be used in both above ground and in ground pools.